Welcome to our world of infinite Creativity and Ideologies. SocialCubicle is a social media marketing company based in India that work towards your business success. We do not work to make you famous, but to make you FAVOURITES. 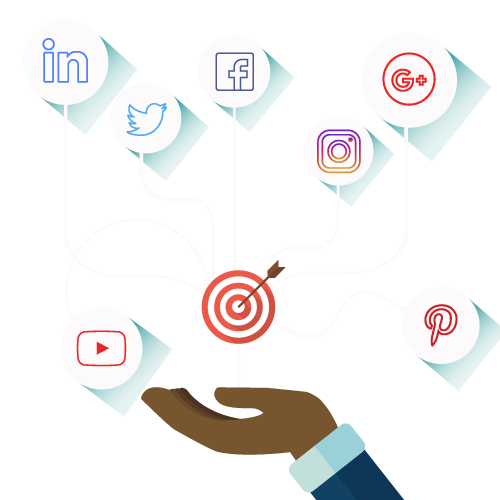 We are fathomed with your business marketing needs and hence come up with social media marketing solutions that cater to your dream of being the 'most liked' brand in the global market. The gateway to impel demand, raise brand awareness, build lifetime customers and grow your business. Twitter is simply a tale of a few powerful words and trending hashtags. Become an Instagram influencer, #promote products more effectively, engage with your followers and accelerate your business’ growth. Let’s start marketing on social media’s new companion. Create pins, follow boards, Build Influencer Relationships and start a bigger collaboration. Be professional..share professionally! The best thing about LinkedIn platform is that it liked sharing straight-forward content. Utilize Google+ Collections and share your content on communities, add youtube videos and give a boost to your business. The best services we ever got! A great company to explore with social media. “Their team is knowledgeable, responsive and committed to supporting our initiatives, making them invaluable partners in our effort to promote brand awareness, drive traffic to our website, and generate new business. We feel confident that we’re getting the best advice on how to effectuate our social media marketing strategy is. Well done!! Social Cubicle has significantly increased our e-commerce contribution with the best driven results. Their insights, from website presentation and conversion to search marketing to social networking, have been invaluable.” It has not only improved the effectiveness of our online media buys, but also dramatically increased the revenue we generated from our web site as well. I would surely recommend you to all!! Planning to promote your business but don't know where to start! You have the problem, we have the right solution. Build your plan by spending little amount of money with our starting business plan. Build your brand and connect with customers. Are you finding the advance strategy to build strong brand's presence ? Get your custom plan and implement it with loyalty by creating buzz on social media to get leads, sales and traffic. Your brand requires good traffic. It is difficult to handle the social media without knowing the right strategy of implementing it. We are here to build a strong connection through engagement with your audience. Browse the best plan to boost traffic. Social Cubicle is a milieu where brands are created and nurtured to leave an imprint on their customers. With strong social etiquettes and surefire strategies, we help businesses burst into life. Make Sure you don’t miss intresting happenings by joining our newslatter program. 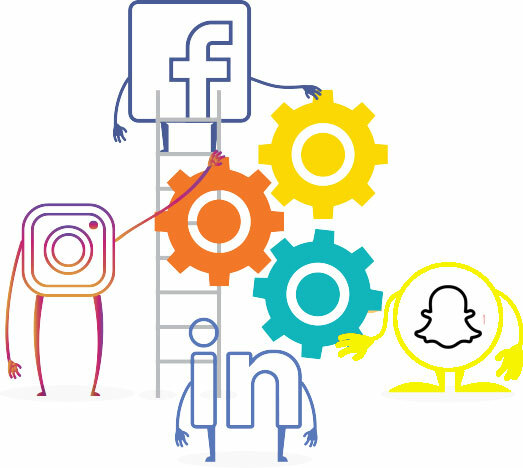 I deliver performance-based Facebook, Instagram and Twitter marketing solutions, & strategical marketing services for startups & growing businesses. By leveraging the power of data, I'm able to quickly find your ideal audience and effectively communicate the right message across different online channels in order to achieve the highest return on investment. Facebook, Twitter, Google+, Instagram, Pinterest, LinkedIn pages. I get your business on all of these. This is a full social media management. You're going to need a robust social media paid advertising to go with your organic posting.